Lucky you! You just got chosen as the individual who has the opportunity to plan a parent’s day for your sorority or fraternity! And now you ask yourself… what the heck do I do now? As stressful as planning an event for a larger group of people may sound, the satisfaction of making members of your organization and their parents happy will soon enough make up for all of the worrying. A sorority or fraternity parents day is an awesome way to show parents or guardians why Greek life was the right decision for you. 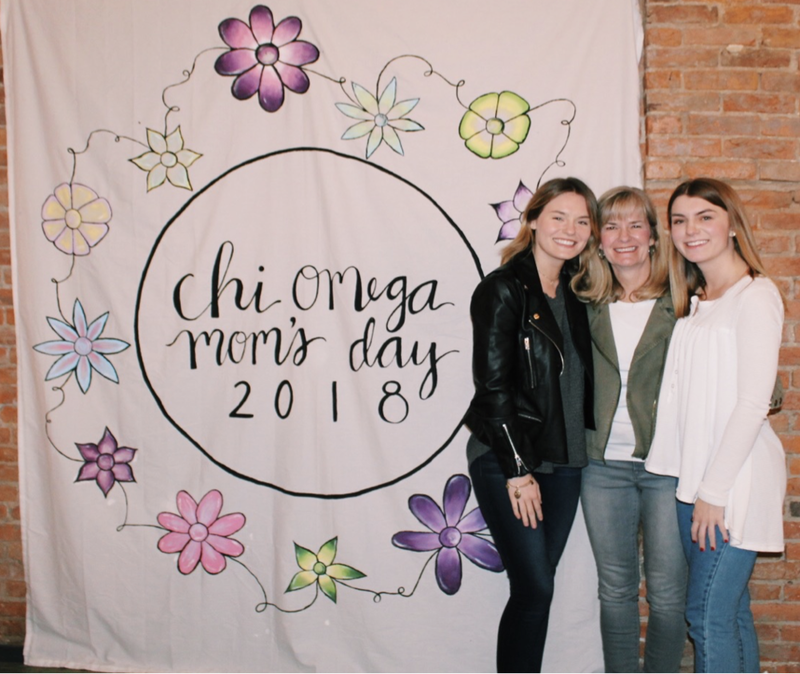 Focus on centering this day around showcasing your organization’s values, philanthropic events and all of the other great aspects on why you chose the chapter you did while involving everyone attending. Still need help with how to plan this event? Listed below are the most crucial things you need to keep in mind while planning this event! Before any planning starts, you need to determine who is going to help you with this event. Yes, you were put in charge, however, there is no reason you have to plan this event alone. Create committees for different things you need help with (food, activities, decorations, etc.). This allows more of the organization’s members to be involved and it takes away stress from you! Any successful parents day comes along with a great theme. Whether that theme involves your organization’s colors, a quote, sports or even something patriotic, the theme is what helps tie everything together! Can’t decide on a theme? Create a Facebook poll with a variety of options you have brainstormed and have your chapter decide! Know your budget like you know your major! A budget will allow you to put in realization on what you can and cannot do. Get in contact with who is in charge of money within your organization, usually the Treasurer, to know exactly how much you can spend. Personal Tip #1: Make an Excel document with every item needed, the quantity, price and location of purchase. When the time comes around to purchasing everything, you will hopefully be under budget and only have to make one trip to all of the stores! Dollar General/Tree is your best friend. Knowing how many people are coming is important for picking a location, ordering food and the activities you do! Creating a Google Document and sharing it will all of your members will be the easiest way for them to sign up. Set a date when your sign-up sheet will close. This will allow you to get an accurate number of attendees so you can secure a location, order the right amount of food, make shirts on time! Are you having this at your chapter house or at an event center? If your chapter facility is large enough, have it there to save money. If not, start calling multiple event spaces to see who has the best prices and locations to fit the amount of attendees coming! Pick a date that not only works best for your chapter, but what works best for everyone else you’re working with (event space and catering). Ah, one of the most exciting aspects of any event… the food. Make sure this food also somewhat fits the theme. If you are having a tailgate, hamburgers and hot dogs are a good option. If you’re planning a sit down brunch, you should pick a vendor to cater! addition, please don’t forget about all of our awesome friends and their parents who have dietary needs! This has become such a common issue in society today and you want everyone to feel comfortable coming to this event! Make a Facebook poll asking your members what they want to eat at this event! Again, go with your theme. Keep in mind the age groups you should be having activities for! Pop-up shops and crafting are always great ideas in which you can tailor specific for any event! Any worthy event has awesome apparel to go with it! What parent wouldn’t want to support an organization that their favorite child is in? Apparel like t-shirts and sweatshirts are always awesome items or you can always go big and make custom koozies, water bottles and stickers! Personal Tip #4: Visit our design gallery to check out the awesome Parent’s Weekend apparel designs! Again, go with your theme! Things like center pieces, photos, a banner, photo booth and really anything else you can think of are great options! Pinterest is your best friend. Designate a group of people who will only work on the banner… aka a banner making committee! This will allow you to be organized and so you know it will be getting done. Keep all of these crucial things in the back of your mind while planning, and your event will no doubt be successful! Good luck and have fun!